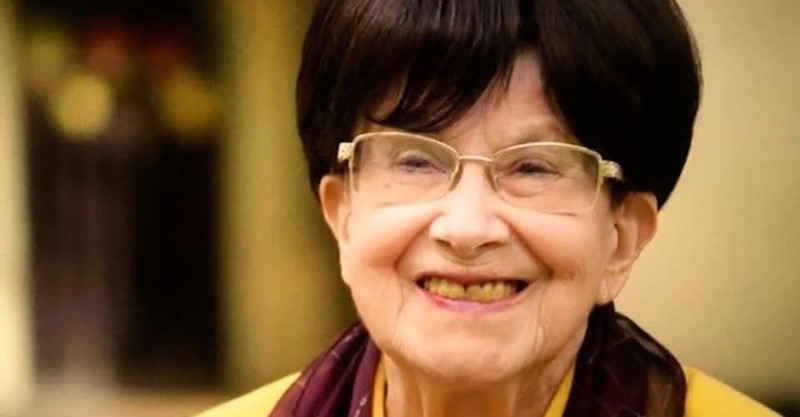 The death of Zuzana Růžičková – peacefully, in her sleep, in the early afternoon on 27 September 2017 – brings to an end one of the most distinguished careers in modern music. I interviewed Zuzana for Fanfare in October 2013 and post the text of our discussion here in homage. A trailer for the recently released film Zuzana: Music is Life can be seen here and details of her complete edition of the Bach keyboard works from Warner Classics here. 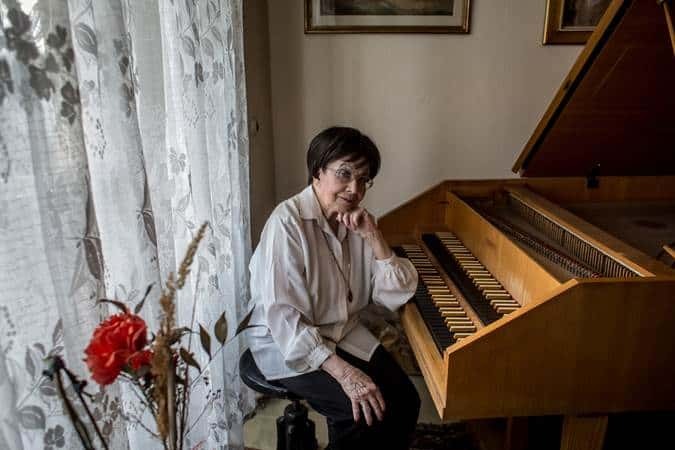 For a Fanfare feature in 34:4 (March/April 2011) on the music of the Czech composer Viktor Kalabis (1923–2006), I had a background conversation with his widow, the harpsichordist Zuzana Růžičková (it’s not as difficult as it looks: Roo-zheetsh-kova). That discussion was occasioned by the appearance of the complete Kalabis string quartets on Praga Digitals (PRD250262) and an anthology of orchestral and chamber music on MSR, derived from Supraphon originals (MS1350). Now, with the reissue of several of her own recordings on Supraphon and the release of a three-CD box, also from Supraphon, of Kalabis orchestral music, it’s time for a talk with Růžičková herself. I hadn’t interviewed her directly in 2011 because I had been warned that she was seriously ill, as was instantly clear from her tone on the telephone; I expected bad news before long. Now she responded to my first words with surprising frankness. When we spoke two years ago, you warned me that you were very ill. But these days you sound buoyant and full of life. Now I’m in remission. I have a film crew here, doing a documentary on my life. It will be the States; they are going to do a trailer and then they will see what will happen to it. It’s mostly about my Holocaust period. I wanted to broach that subject later, but since you have mentioned it now, we might as well deal with it. I know Alice Herz Sommer, who will be 110 in a few weeks’ time…. Alice gave over a hundred concerts in Terezín, but because she had no recording career, people don’t realize that she was one of the great musicians, and so she has come to be defined in the public eye by just two years out of that very long life—although, Alice being Alice, she accepts it with equanimity. Your career came about despite your time in the concentration camps, not because of it, so do you not resent being asked to talk about it all the time—being defined, at least in part, by that terrible period? No, I talk about it quite a lot these days. There aren’t so many survivors these days who can talk about, so I’m very much in demand. And I was not only in Terezín: I was in Auschwitz and then I was in Bergen-Belsen; for more than three-and-a-half years I was in different camps. It took Anita Lasker-Wallfisch many years before she was prepared to talk about Auschwitz and how she survived it. Now she, too, has become an iconic figure. In a few days in Vienna, for example, she is reading from her memoir Inherit the Truth and Raphael [Wallfisch, her cellist son] is playing as part of the same event. I was with her. I met Raphael two years ago at the Prague Instrumental Competition and he immediately said to me: ‘You must have met my mother in the camps.’ So we ’phoned, we talked over the telephone. Rafael took with him the score of the Violoncello Concerto of my husband and promised to do it, but up till now nothing happened. I will nag him! Anyway, I guess you would have been too young to participate in the musical life of Terezín. Of course, I didn’t participate, but I was one of the ardent listeners – to Alice Herzová, to Karel Berman, to Karel Ančerl. How did you get back into civilian life afterwards? It was not easy. I immediately resolved that I would study music, but with three-and-a-half years of internment at the most important time in a musician’s life it was certainly not very easy. I started with small children again, with the simplest of etudes, and I practiced almost 10–12 hours a day. I was at a music school and then every three months I graduated to a higher class. Then in 1947 the music school applied for the statute of a conservatoire; they put the students on in a concert, and a commission came from Prague, from the Ministry and the Academy of Music. I already played Chopin, the Variations brillantes, and so the committee came to me and asked me if I would like to study at the Academy of Music; they gave me a dispensation from studying at the Conservatoire, so I went straight to the Academy. When was it that you decided to put the piano aside for the harpsichord? Already when I started the piano, I was so much taken by Bach’s music that my teacher then [Bohdan Gsölhofer], who was very well educated, said: ‘Well, of course, Bach didn’t write for the piano. You must choose either the organ or the harpsichord’. I was a very weak child and very often ill, and so my doctor said: ‘No, no organ in those cold churches!’ So my teacher planned for me that, as soon as I had finished my obligatory school, I should go to study with Landowska in France. So I prepared everything for my examinations with Landowska – harmony, counterpoint, and so on – but instead of my going to Landowska, the Nazis came and I went to the camp. When I was studying the piano at the Academy, there came a professor who gave obligatory harpsichord classes. I was never very happy about Bach on the piano at the Academy, so I immediately went to the harpsichord class and it was love at first hearing. Had you had some experience of the harpsichord before that? No, not at all. But I soon found that Bach should be played on the harpsichord. When musicians are associated with instruments that don’t have much of a concert profile – as, say, with Segovia and the guitar – it is what they do that dictates whether it gains acceptance, and for all that Landowska pioneered the harpsichord in the modern age, it was your generation and your engagement with the music of your own time that made it the modern concert instrument it now is. Well, actually Landowska did, too. And I had to do the same as Landowska and play half of a concert on a piano and half on a harpsichord. And then I would choose a piece (usually the Italian Concerto) where it’s most evident, and then I would play it both on the piano and then on the harpsichord so that the audience could hear whether the harpsichord sounded more persuasive than the piano. But Landowska didn’t engage herself with the music of her time the way you have. No. Of course, she played Poulenc and Falla, but I don’t know what else. I was always very taken with contemporary music; after all, that was one of the reasons we met with Viktor Kalabis. I had the feeling that I would be stuck if I let it stop with the eighteen century. One has to keep up with the times with contemporary music, and it was a very important part of my curriculum. Many composers have written for you. Of all those whose music you have premiered – leaving aside Viktor Kalabis for the moment – who are the ones who stand out most freshly in your memory? You mean composers who have written for me? Maybe [Jan] Klusák [b. 1934] and [Luboš] Fišer [1935–99]. Fišer is a terrific composer; it’s a real pity that he isn’t known further afield. I heard that, unfortunately, he didn’t really take care of his works, so quite a few of his scores are with his first wife and some with his second wife. His works should be assembled. How did you see the attitude to the harpsichord changing as your career progressed? After all, it came in from the cold as an antiquarian instrument. Well, as I told you, it would have been ridiculous to suggest a recital in the Rudolfinum; there was no manager who would not laugh at it. 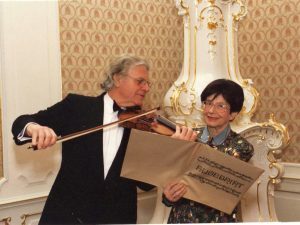 But gradually the audiences seemed interested and then [in 1956] I won the Munich [International Music] Competition, and after winning the prize I was invited by Marguerite Roesgen-Champion, who was on the jury, who gave me a scholarship for Paris. Of course, she had some concerts for her students in Paris, and at the same time I already started to play with some orchestras in Paris. I got asked for my first recording, of the ‘Brandenburg’ Concerto No. 5. Being in Paris and through the Munich competition I got invitations to Germany and France. And, of course, if you know anything about the Czech Republic, you’ll know it’s best to be famous somewhere else first. Was your career much affected political pressure? Yes, of course. I was only allowed to go to Paris because I was invited and they gave me a scholarship and having won this competition. But at the same time I was already married to Viktor, and Manuel Rosenthal came to Prague and heard a composition of Viktor’s (not even an important one: It was the quintet for woodwind [the Divertimento of 1952]) and he was so taken by it that when Viktor wrote the Cello Concerto  he immediately offered him a production at the Théâtre des Champs-Élysées with the Orchestre National and Jacques Neilz playing the cello. At the time I was in Paris for my scholarship, so I had to go back home: Someone had to be in Prague; we couldn’t both be in France. Politically, it was very difficult to get out of Czechoslovakia. But wasn’t the harpsichord itself looked on with some suspicion as a representative of bourgeois culture? When Shostakovich wrote the Op. 87 Preludes and Fugues in 1950–51, for example, such an engagement with the forms of the past was itself a sort of political gesture. And the viola was also sidelined as a ‘bourgeois’ instrument. It was really ridiculous. I could travel because very early I got paid very well for my concerts, so I brought foreign money into the country. But I was not allowed to teach harpsichord at the Academy (I taught only piano for composers) because the harpsichord was a feudal instrument, it was a religious instrument. So I only got my professorship after the Revolution in ’89. I couldn’t teach because I wasn’t a member of the Party and didn’t have time to study Marxism-Leninism at university – I refused to do it because it was a waste of time. So I was told: ‘You are not ideologically prepared to teach these students this instrument’. Later, in ’79, I was allowed to have a class in Bratislava, so I founded a harpsichord class and taught there until ’84. And yet the list of your students – Mahan Esfahani, Ketil Haugsand, Christopher Hogwood, Monika Knoblochová, János Sebestyen, Jaroslav Tůma, etc. – reads like a rollcall of some of the most important harpsichordists of the present day. But that is because I was asked in ’68 to lead the master-class in Zurich. I taught 25 years of master-classes in Zurich and I arranged it so that there was a sponsor who gave some scholarships to Czech students, so I taught Czech students in Zurich. It’s bizarre. The approach to the instrument itself must have changed in the many decades in which you have been involved with the instrument – Landowska’s recordings can seem a little full-on and fierce these days. I still admire Landowska very much. There were two lines of approach to the harpsichord. 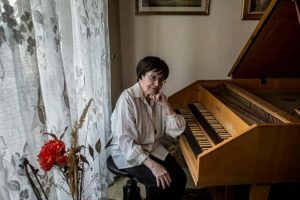 One was the line of Landowska, who said she wanted to have an instrument that could technically combine all the good things that the harpsichord had acquired during its evolution up to the end of the eighteenth century. She saw the harpsichord as a modern instrument which would continue developing in a modern way, playing in orchestras all over Europe. The other line was that of Dolmetsch, who came with these so-called ‘authentic’ interpretations, ‘authentic’ instruments (well, we don’t talk about ‘authentic’ any more; we talk about ‘historically educated’). I still think that the harpsichord will evolve, because at the moment we are stuck at a certain point where one kind of French instrument is used almost everywhere, which, of course, is not very ‘historical’ at all, because there was a great difference between English and German and French instruments. Of course, the French instrument is most pleasant to hear, and also not so difficult to build. But there are all sorts of instruments; if you look, for example, at the press during Bach’s time, the building of the instruments was so eclectic. I think that should be pursued, and it will be pursued. It seems extraordinary that, with the astonishing advance of materials technology these days, people should be concerned with capturing the sound of the instrument as it was three hundred years ago rather than try to build a harpsichord for the 21st century. Yes, that’s what I think. I probably won’t be around when it happens, but I am very sure that my students will be. I am 87! And Alice is 109, and she still plays the piano every day. Anyway, we must talk, too, about your relationship with Viktor Kalabis, of course. I see it was in 1952 that you got married. Yes, 1952. As a matter of fact we knew each other at the Academy but because I had the dispensation from the Conservatoire, he was one year lower at the Academy than I was. We soon met at a restaurant with other students. I knew that he was a wonderful composer; actually, I always say that I fell in love first with his music and then with him. When I finished my studies at the Academy, it happened that there came free the post of lecturer in piano in the composition department, and I applied and I got it. 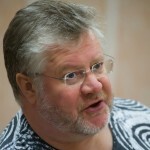 And one of my first students was Viktor Kalabis. Of course, I knew he was a wonderful pianist: He was always playing all the premieres of the students just by sight-reading. So I said: ‘I don’t think I have anything to teach you. If you want, you can take an exam to be free from obligatory piano’. But he said: ‘No, no, no’ – but this was not yet from some sentimental reasons; he just didn’t want to take the examination. But knowing that he was such a wonderful pianist, I didn’t ask him to study anything for me. He brought some music for us to play with four hands: Stravinsky Le Sacre du printemps and Bartók – modern music which was then forbidden here because it was decadent music. But somehow he always got these scores and we played together and then we married! What was the first piece that he composed for you? That was the Piano Concerto [No. 1; 1953–54]. That was my wedding gift. Through the efforts of your foundation, with the release of the box of MSR box with the Fourth and Fifth Symphonies, the wedding-present First Piano Concerto and more, the seven string quartets in the Praha Digitals box and now this three-CD anthology of orchestral music from Supraphon, your husband’s music is getting the kind of international exposure it didn’t have in his lifetime. This is the goal of my life since his death, that this wonderful music should really come out; if it doesn’t come out, it could be quite forgotten. I have two more important tasks – one, probably with Supraphon, will be the piano and chamber music, and the radio will probably be releasing the vocal music. And is there a body of writings that might be published? Yes. There will very soon be a book with Viktor’s texts and reviews and so on from the Dvořák Society and Graham Melville-Mason, who was just here getting the last information. And, of course, then there’s the website where I’ve written texts for all the works, and about forty works already have music (audio) examples. Is all the music now published, so that would-be performers can get hold of it if they want to play it? I just left Baerenreiter and all of Viktor’s music will now be published by Schott in Mainz. They took over all the Baerenreiter material, and so all of Viktor’s music is now with Schott, Mainz. I run the CD label Toccata Classics and publish books on classical music as Toccata Press; I also write a bit about music in various publications in Britain and abroad. My degree (from the University of St Andrews, in 1977 – I’m a Scot) was in mediaeval French and German, and thereafter I worked in economics for twenty years, in London and Paris; I’ve been back in London since 1997. The main thrust of the postings in this blog will be in classical music, but since I am a secular liberal and free-marketeer with a healthy contempt for politics (economics is the study of the creation of wealth, and politics is the process by which it is wastefully dispersed) and a guarded resentment of religion, please don’t be surprised if I occasionally thump the tub on issues other than forgotten composers and other aspects of the musical world.